Here we demonstrate the FM radio signal and exactly how the collar enables you to produce a distinctive fence for dog. The dog is fairly secure using the dog fencing collar indoors together with the exceptional FM DM radio frequency. 1. The BIG DIFFERENCE - FM Radio Dog Fence here.. Lets look at Radio Dog Fencing and the coded digital FM fence signal. The programmable levels in the dog fence training dog collar help create an invisible fence for the dog. 2. WHAT TO LOOK FOR in a Dog Fence here..
Our dog fence reviews look at the Pet Barrier for dog containment. Our intro video explains some of the important features of a dog containment system to stop dog escaping. This video tests the strength and resilience of our dog fence wire. Here, we use a 7 strand 1mm copper core wire with HDPe coating for a 20year UV rating. Get strong dog fence wire for your Electric Dog Fence and ensure your dog's safety. 4. Create the RADIO SIGNAL - Dog Fence here.. 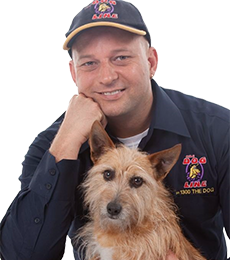 Here we explain how the Radio Dog Fence creates the radio signal to create an invisible dog fence using the dog fence wire around the property to stop the dog escaping or stop the dog digging. 5. Dog Fence Wire - DESIGNS here.. Laying out the dog fence wire - our radio fence signal can be used to create a virtual Electric dog fencing system around your property. 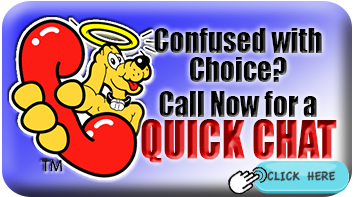 We can help design a dog fence layout with you. The key to successful dog containment is getting the right dog fencing collar. Our Pet Barrier dog training collar has 5 programmable levels. An electric dog fence collar with up-to a 2 year battery life, lifetime warranty including dog chews. Our Premium receiver electric dog fence collars have 8 levels and comes as part of the PT4 premium Dog fence available for big dogs and as a dog fence collar for small dogs. We protect your invisible dog fence transmitter with our surge protected power transformer. The warranty on the dog training fence kit also covers surge damage. Meet the people who are using our Pet Barrier invisible dog fence to stop their dogs escaping or to help stop dogs digging. The Pet Barrier is designed to give your dog or cat a safe environment. It is designed and guaranteed to last and be a reliable safety tool for your dog or cat. Contact us for more information about matching our product to your needs to give you years of peace of mind. Here's to well behaved dogs in every neighbourhood. Each of our Pet Barrier kits comes pre-prepared and ready to plug in on the kitchen bench to test and experience how it works. Each containment fence kit comes with every thing you need for your dog. Our Seven day help line is open everyday of the year to assist you in ensuring you get long term success. Check out our warranties and the list of features offered by our Pet Barrier and call us to discuss what we can do to help keep your Pet Safe.